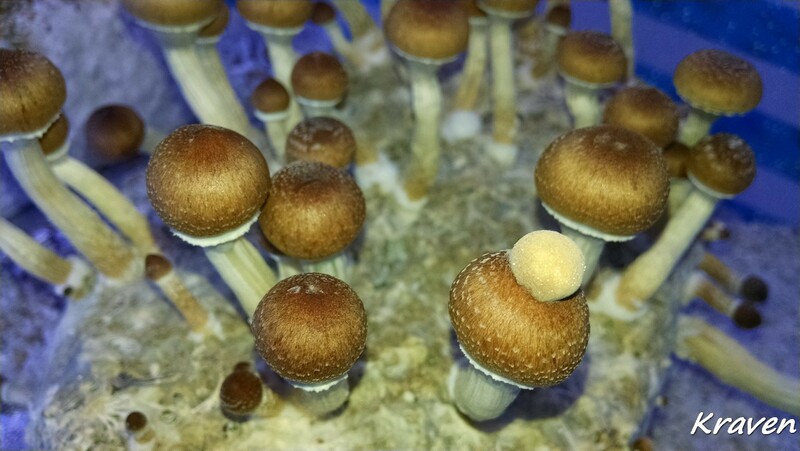 Spread the word, and the spore! 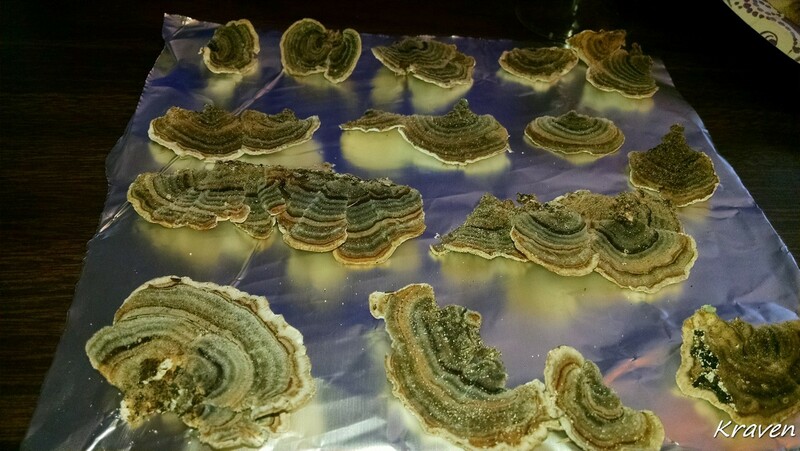 I decided to print some and make my own sawdust logs ....good meds fosure. 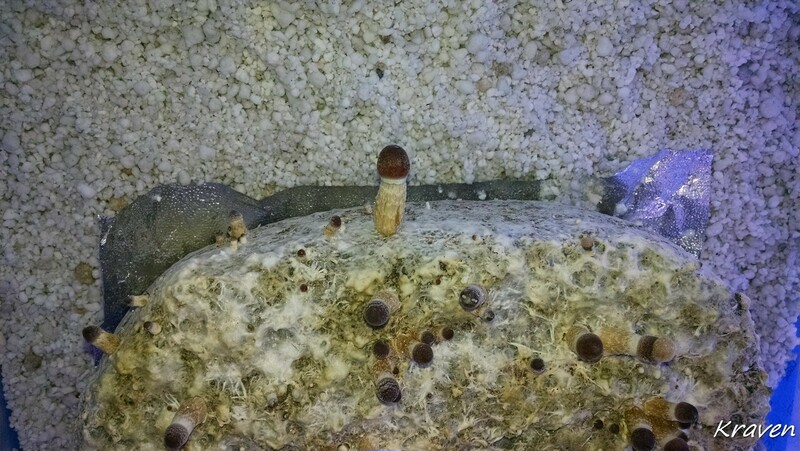 This is your brain on good shrooms. 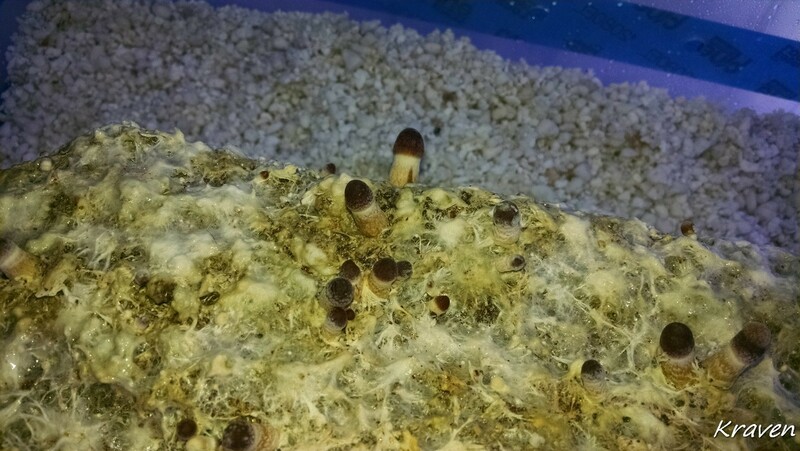 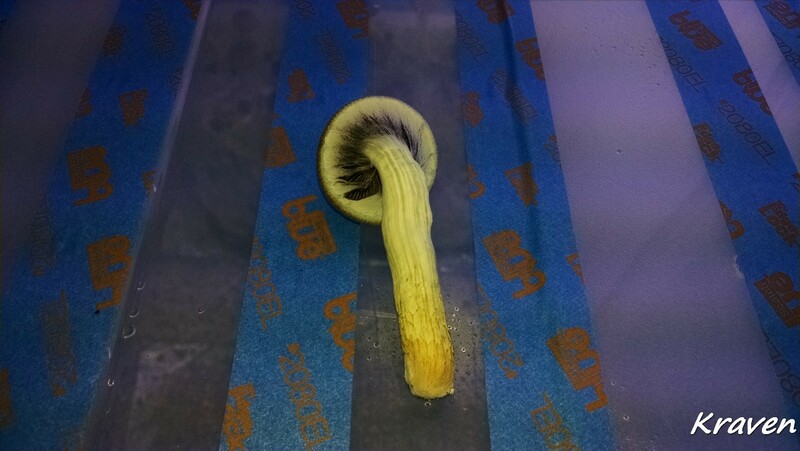 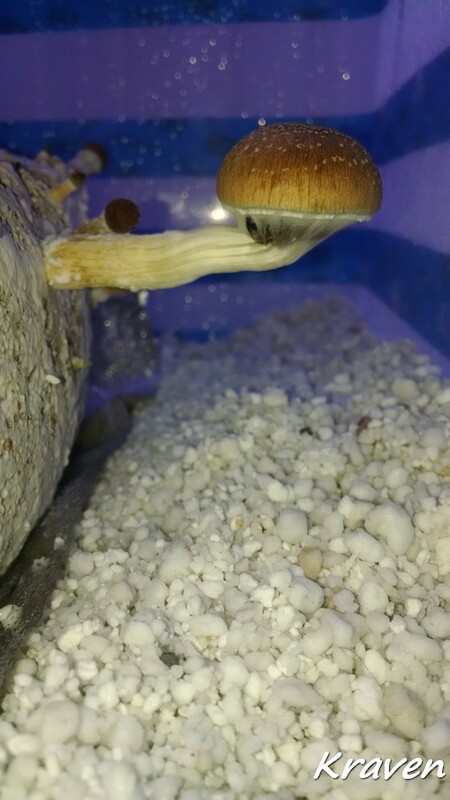 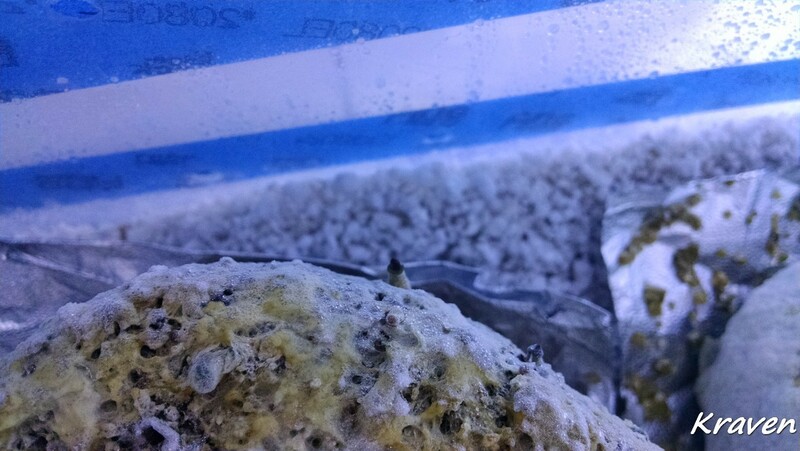 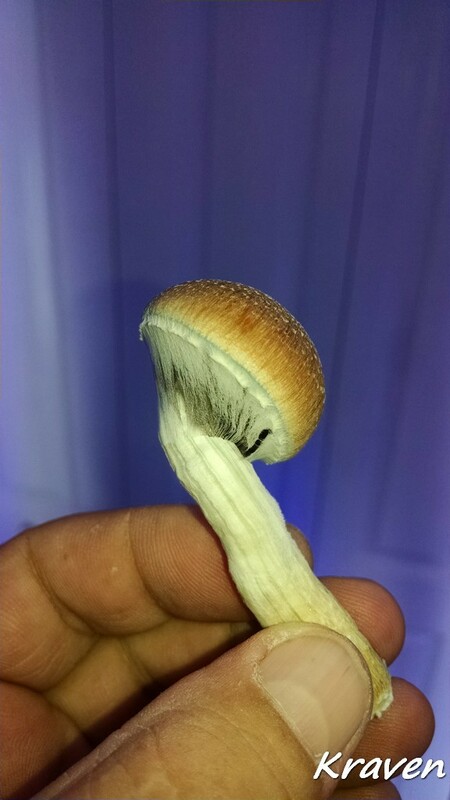 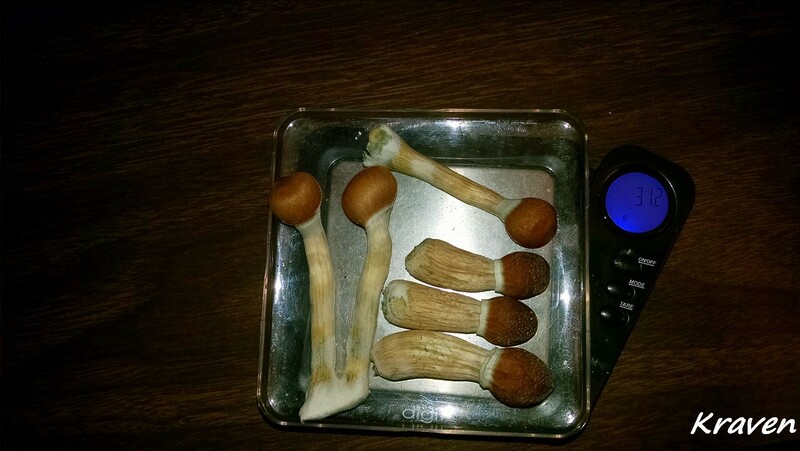 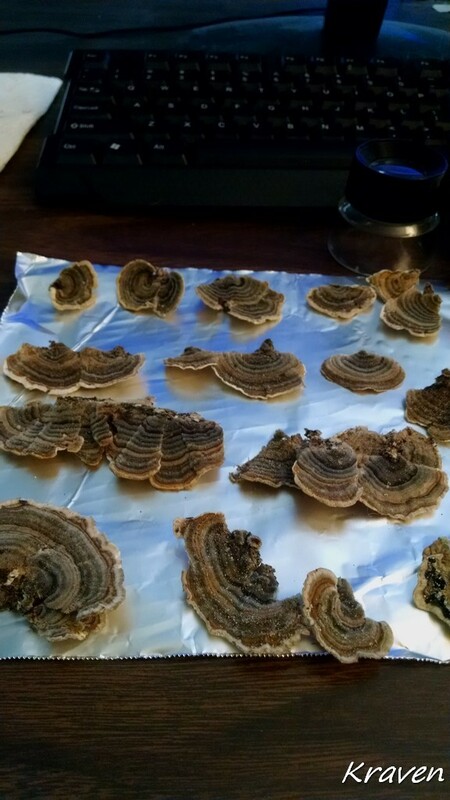 Cool, got the start of the first flush of Golden Teacher, looks like the Purple Mystic are close but no pins yet. 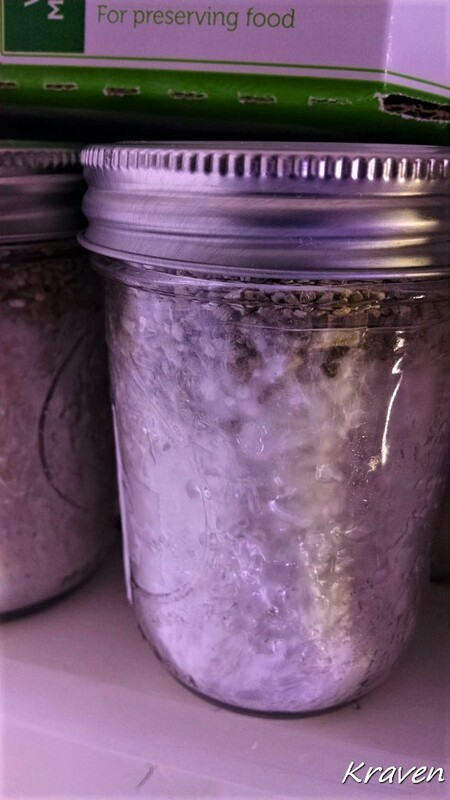 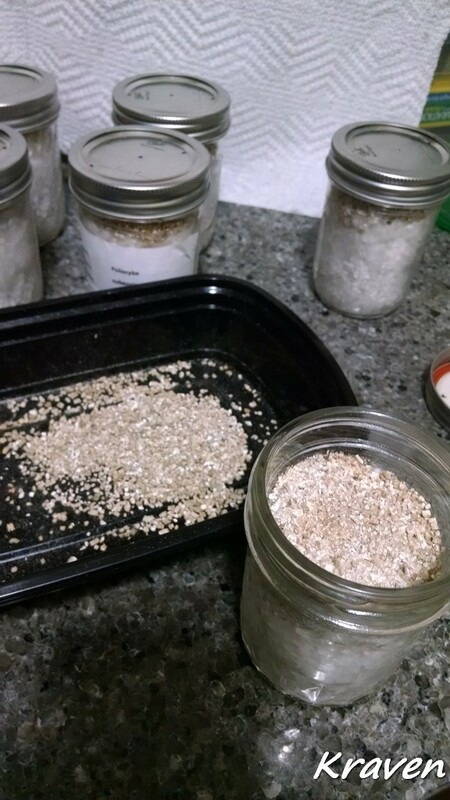 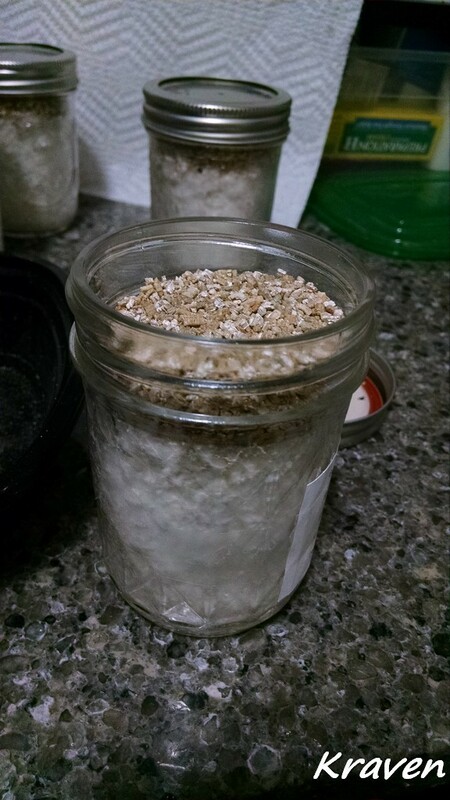 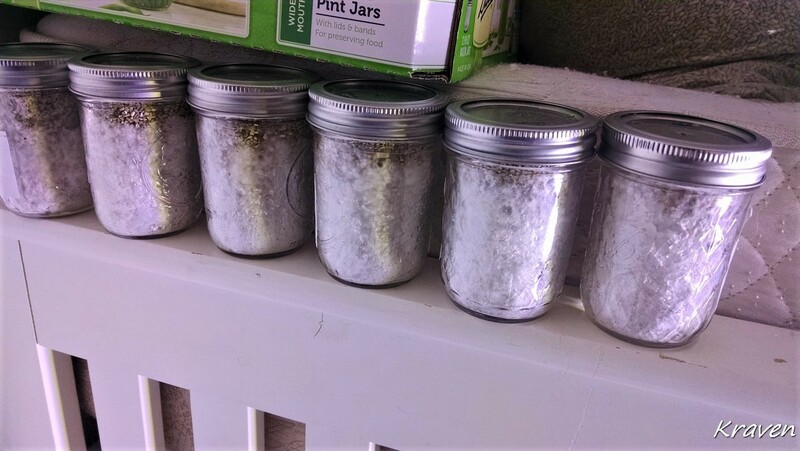 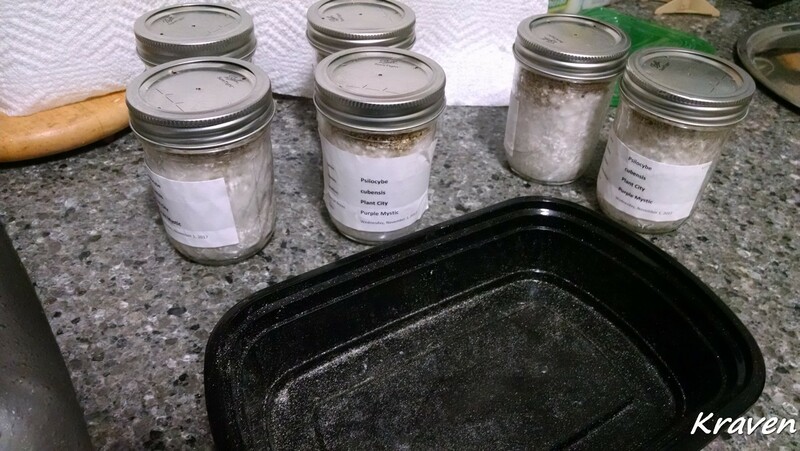 All my jars are at 98-100% so they will sit for a week and then go into the FC. 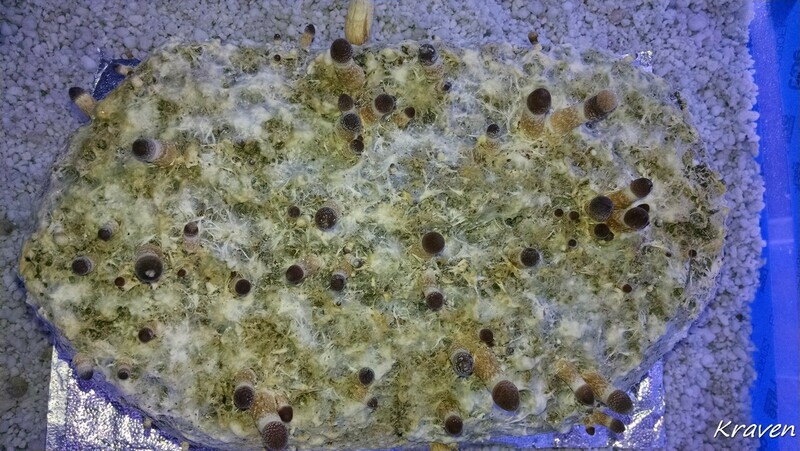 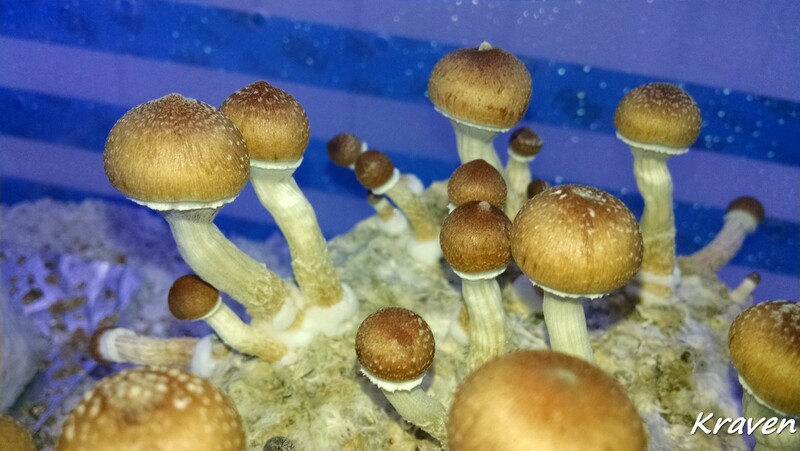 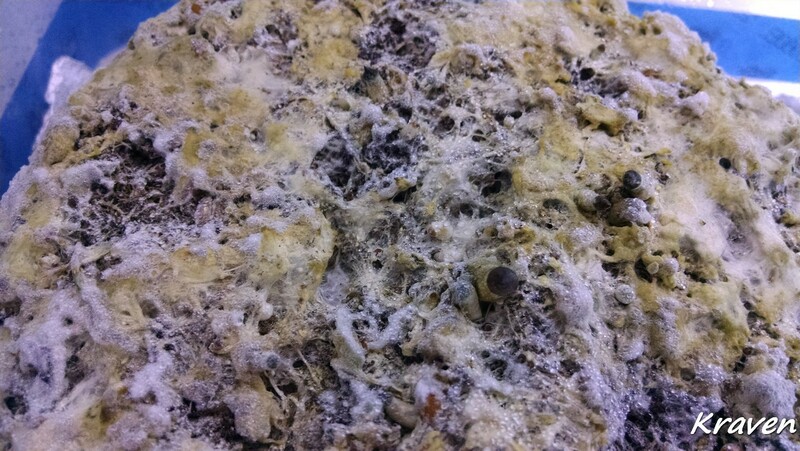 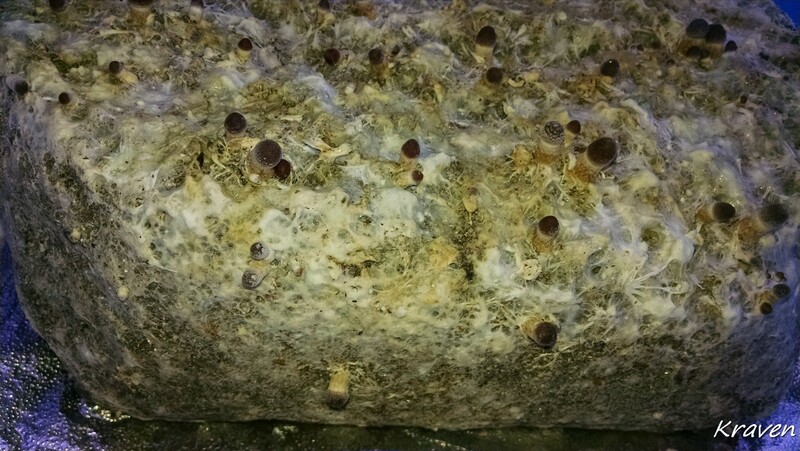 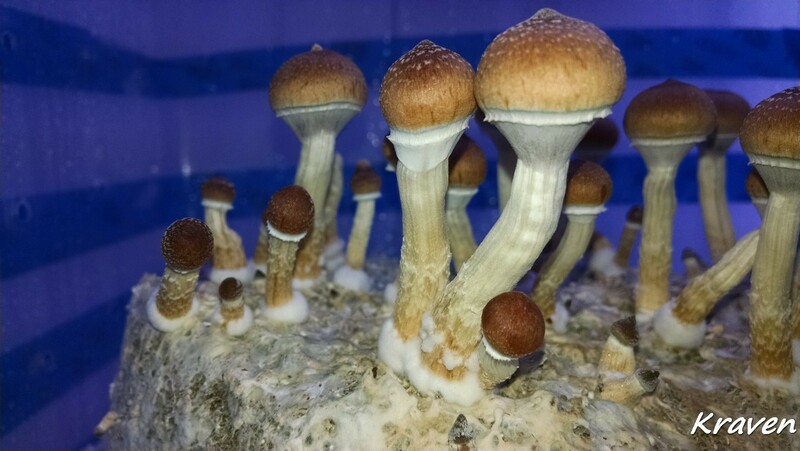 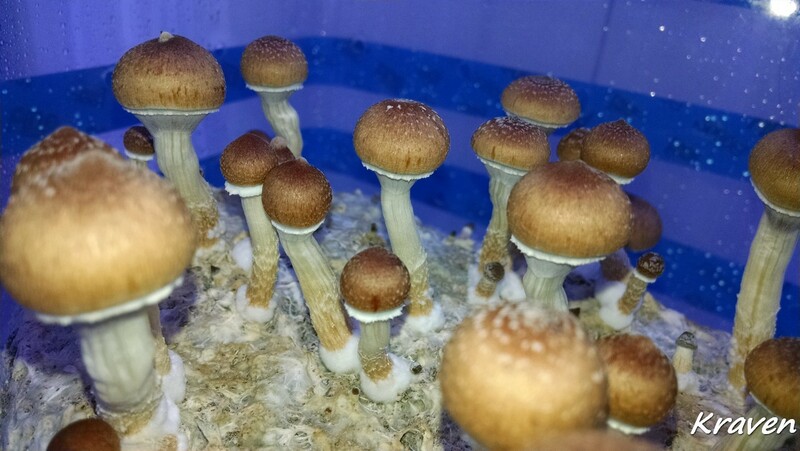 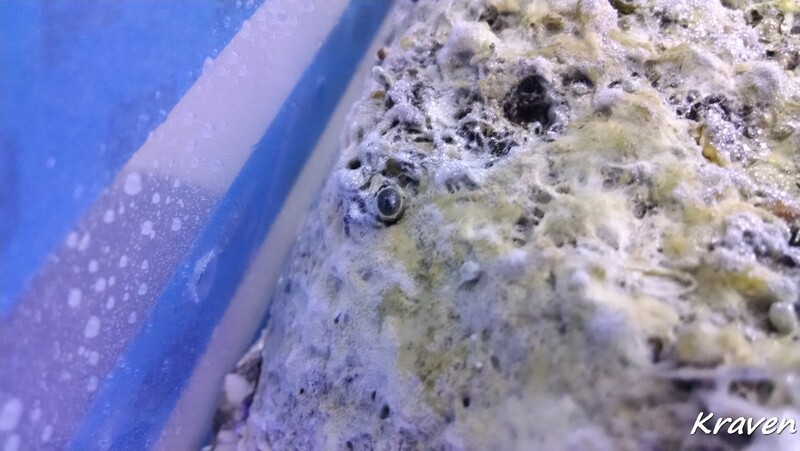 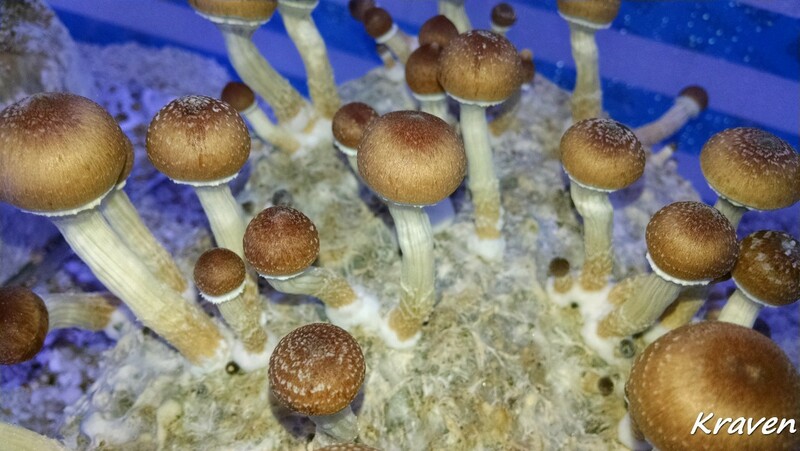 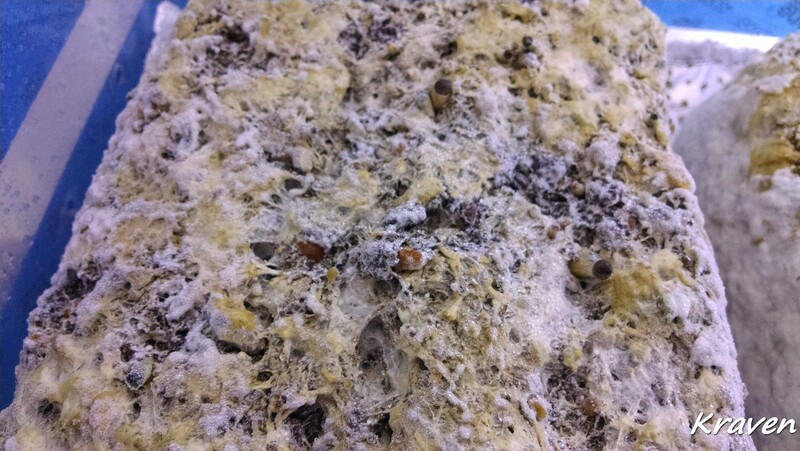 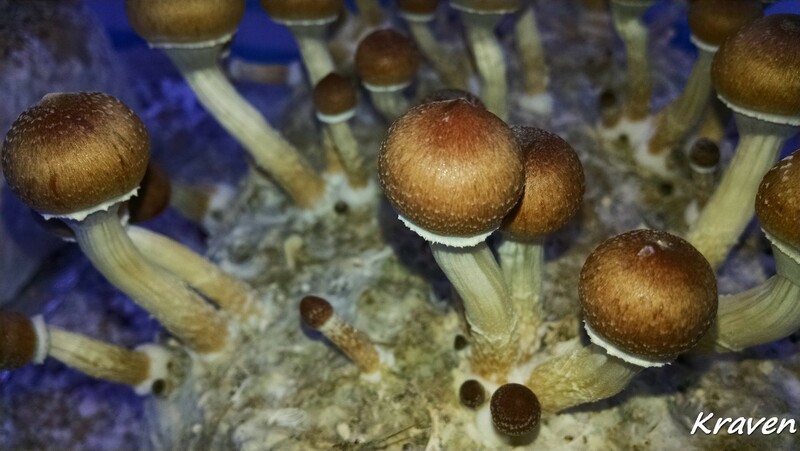 Golden Teacher is setting pins now....they will be done in 3-4 days and then it'll soak and flush them again...and again till they get contams....... look at all the little brown shroom heads. 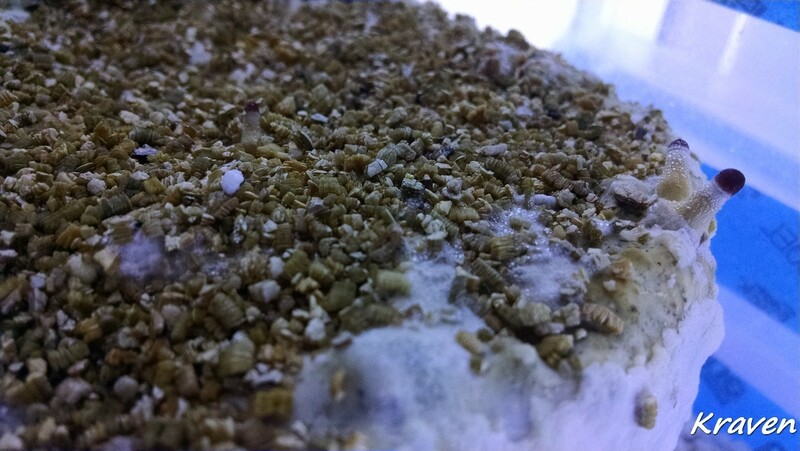 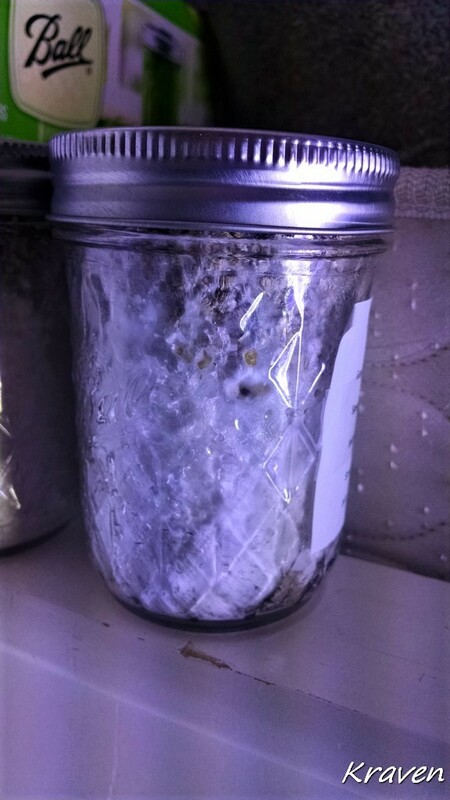 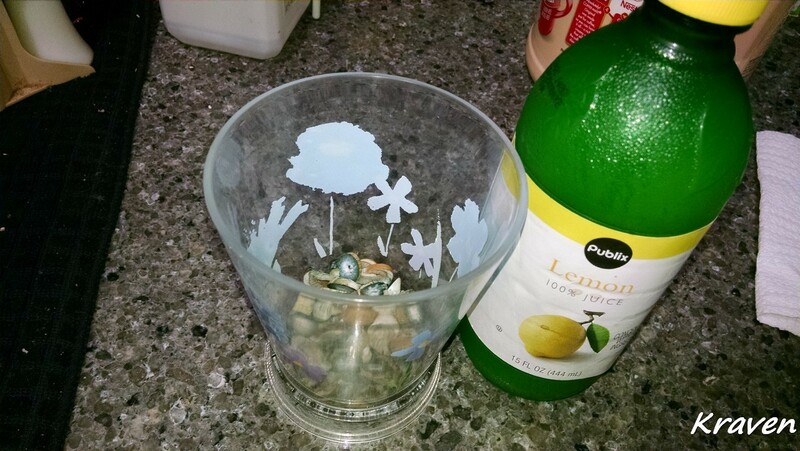 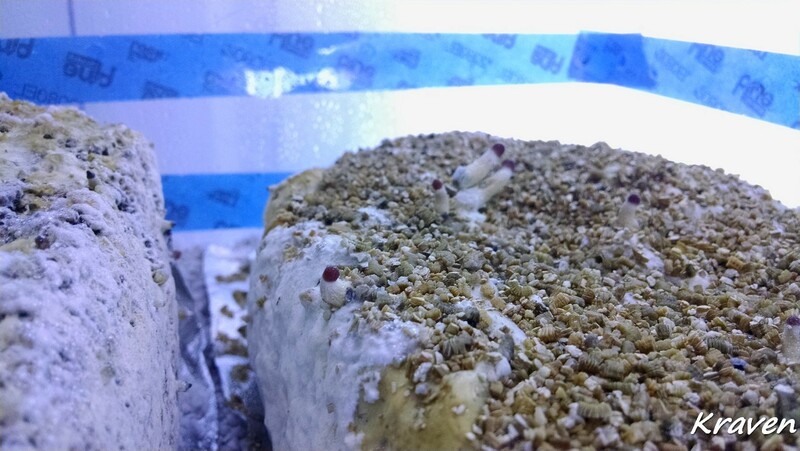 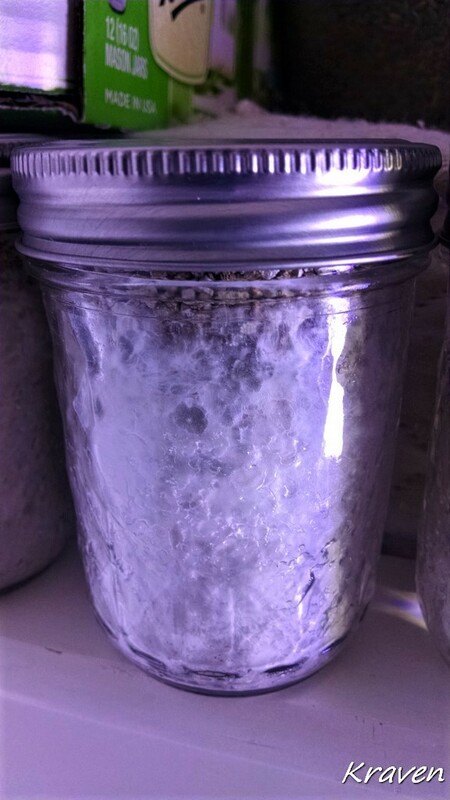 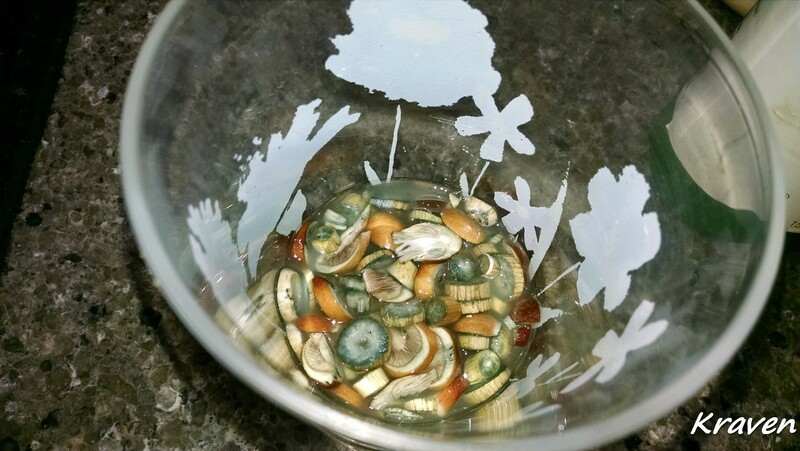 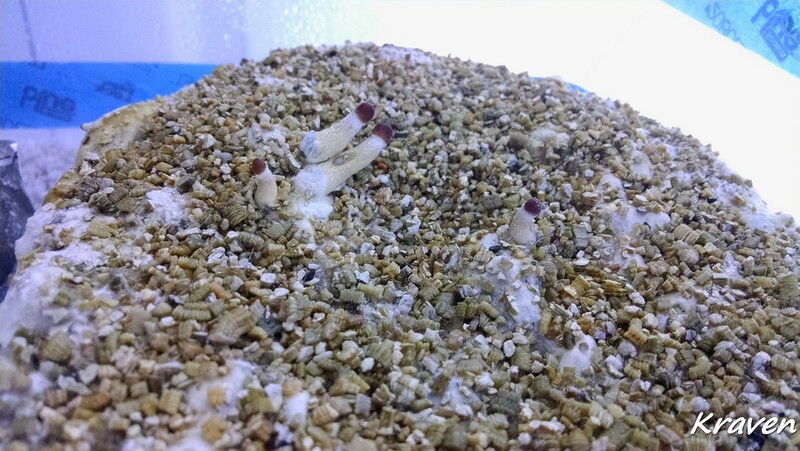 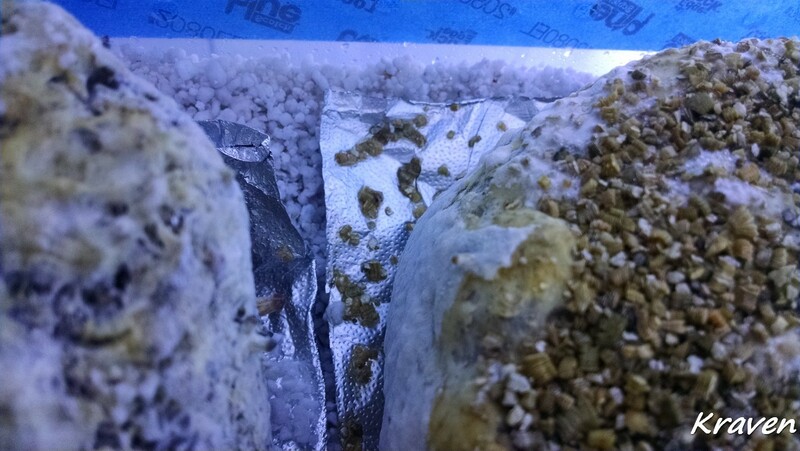 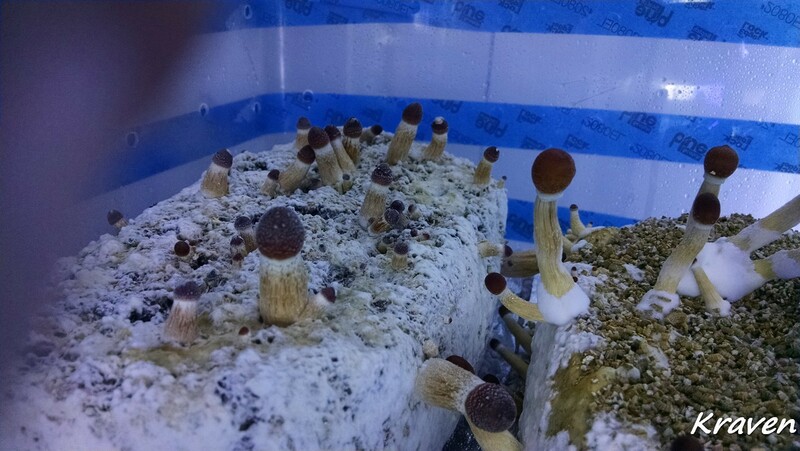 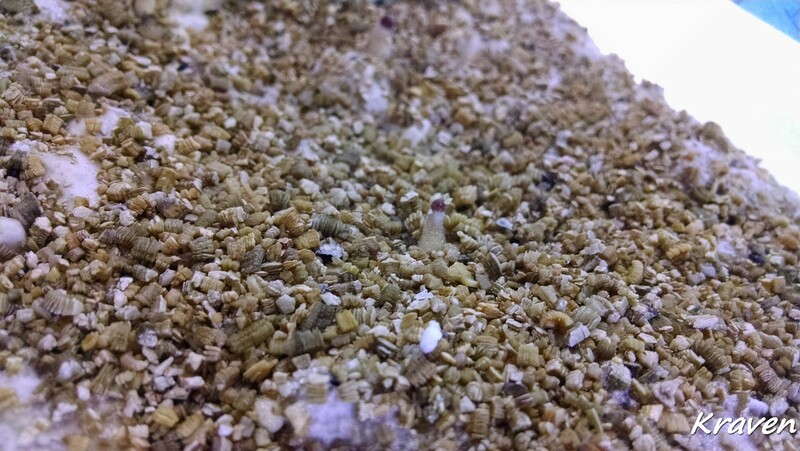 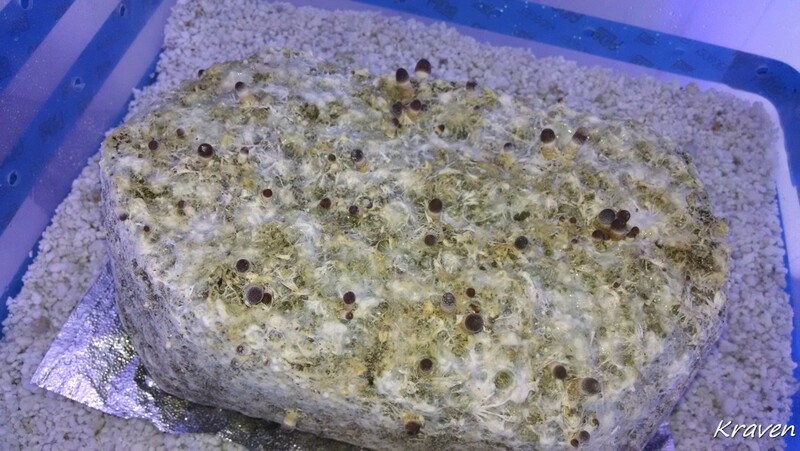 Well today is day three in the FC and the Golden Teacher are just going to town now…peeled the plastic back now that I have a good pin set and I got 6 cakes of Purple Mystic consolidating for a few days before I birth them this weekend. 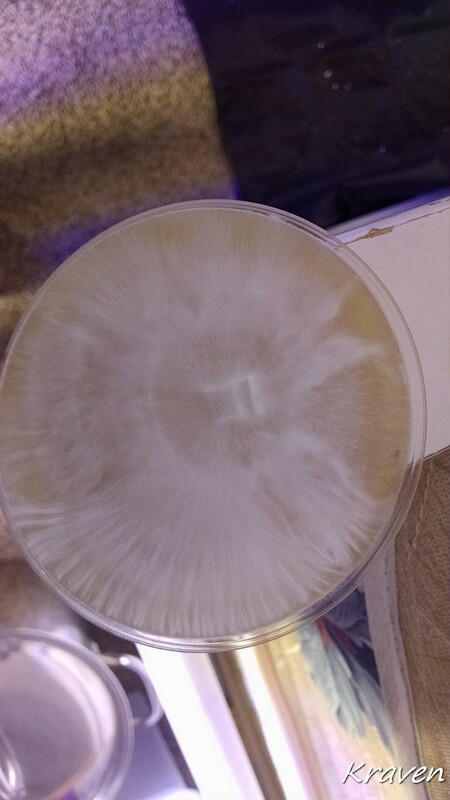 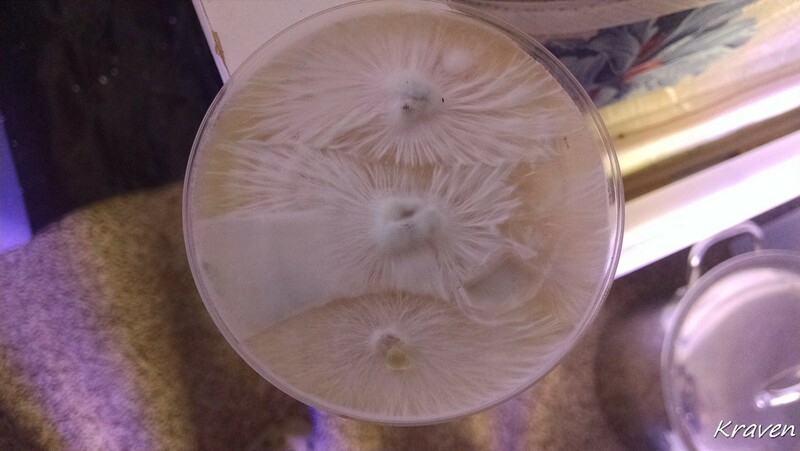 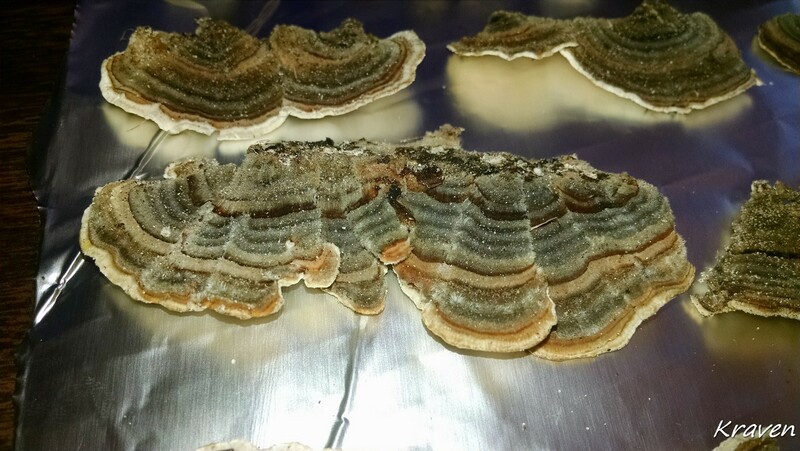 Here is the agar work I have done so far on isolation of a good strain of Golden Teacher. 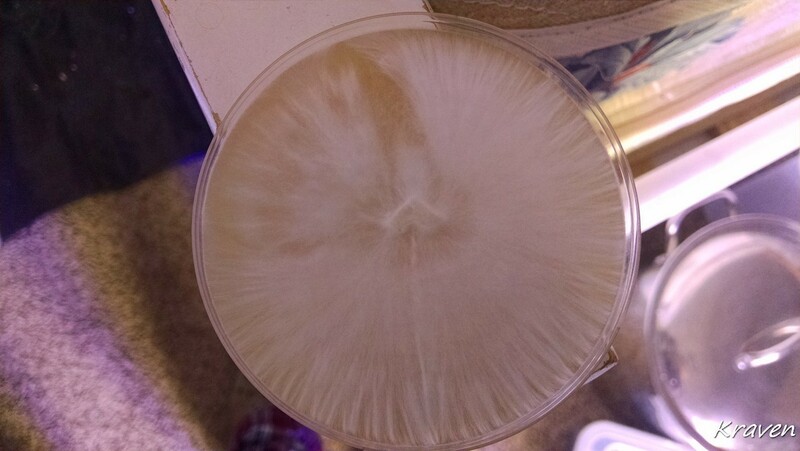 wow this all seems so scientific it's so interesting. 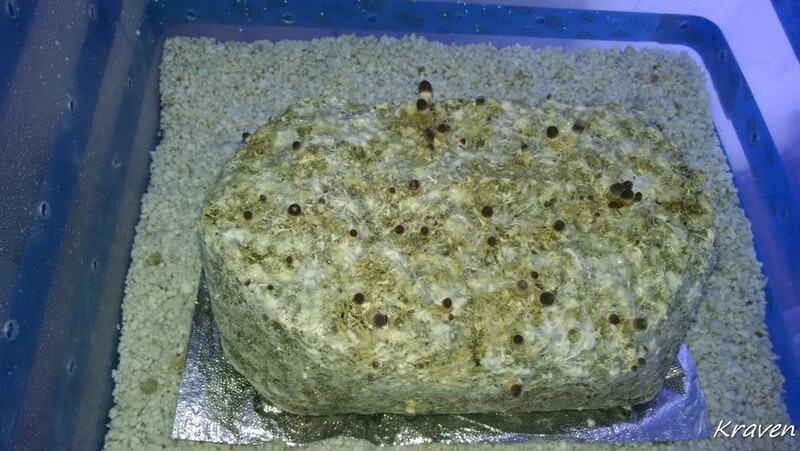 how much does one of those large cakes? 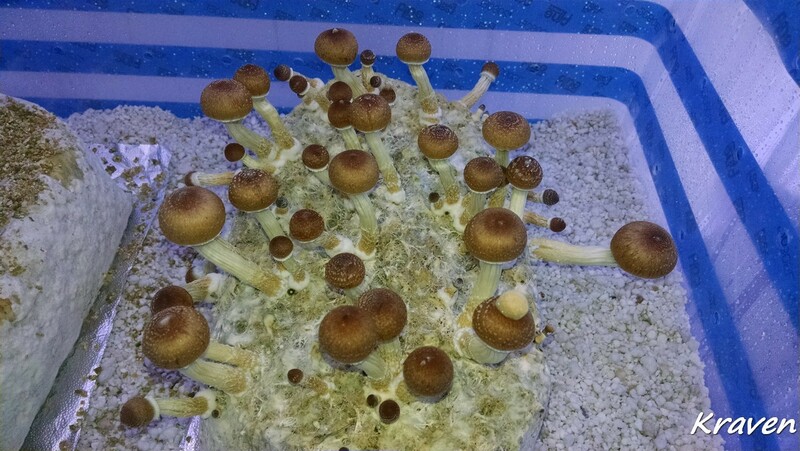 yield in dry weight ? 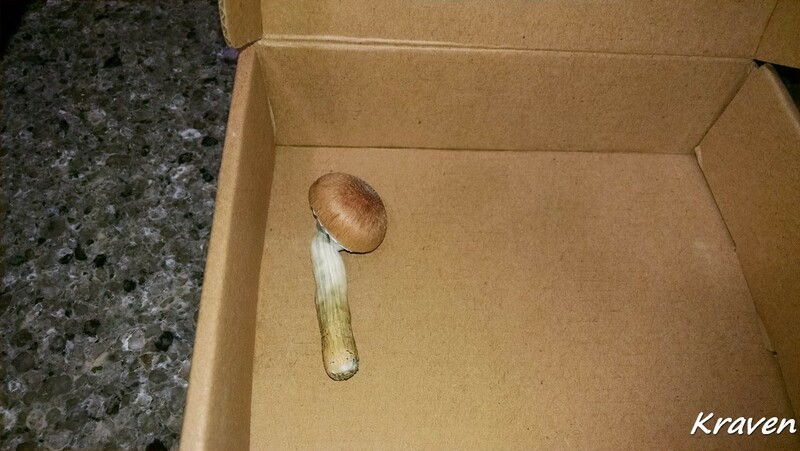 @legalcanada that question has a 2 part answer. 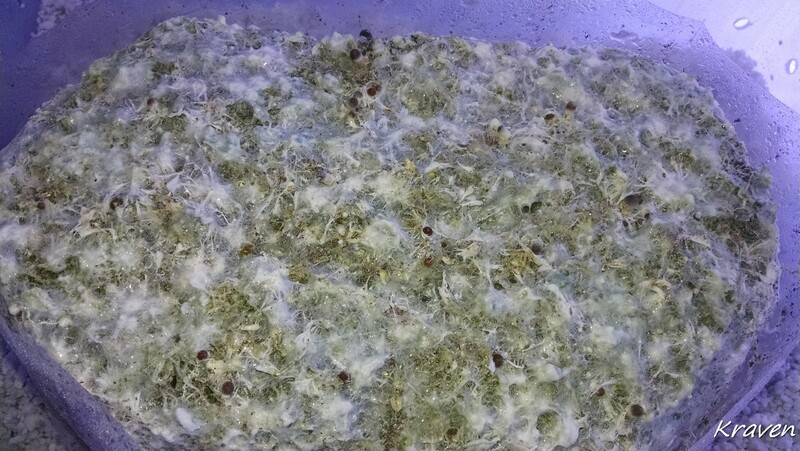 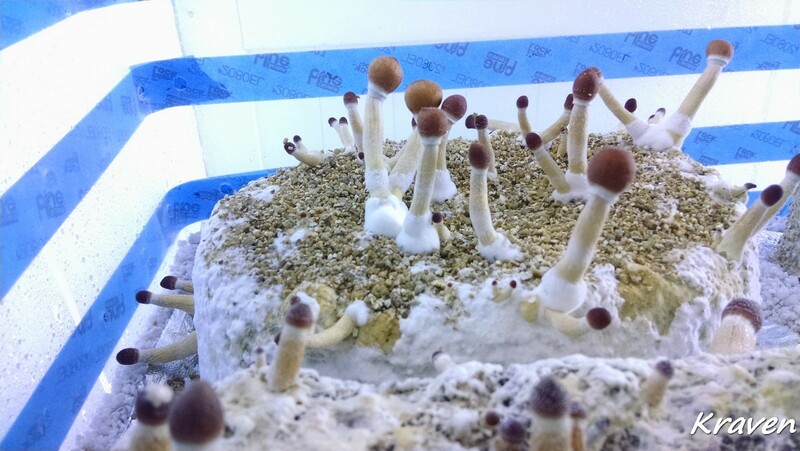 First flush dunno but you should get at least three flushes before the cake contams...not unheard of to go 5-6 times if you have your grow really dialed in and clean. 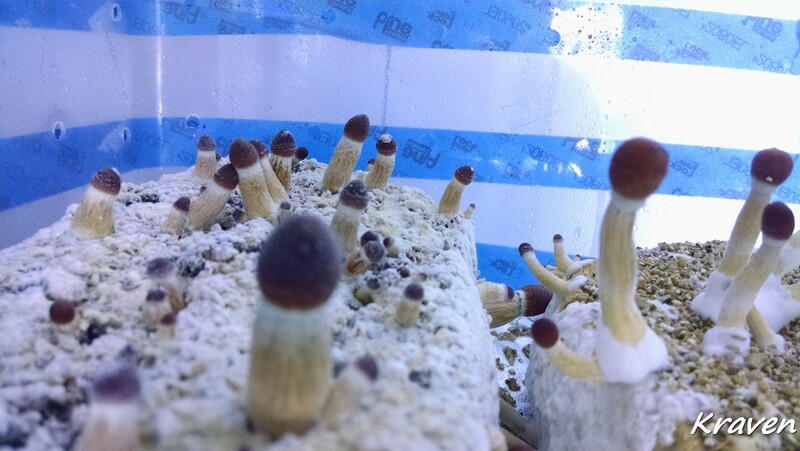 Second it really will depend on the strain of whatever your growing....unless you have a monospored clone its just gonna be a crap shoot till then. 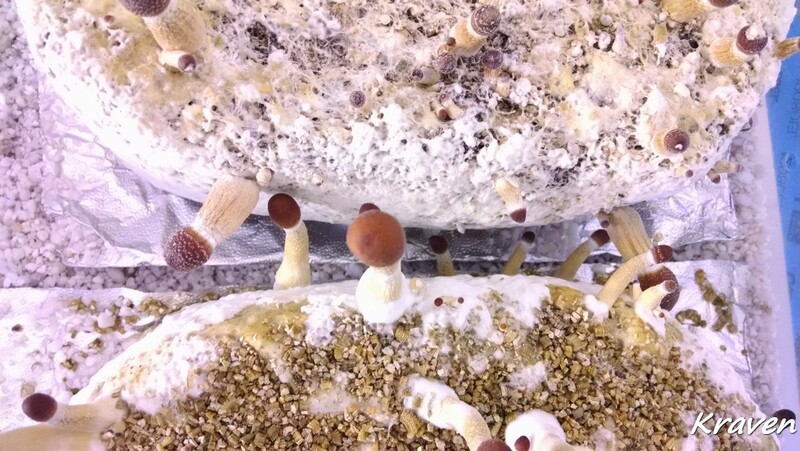 How would you describe your experiances between GT and PE...would you say the same type just more dependant on your mood and surroundings? 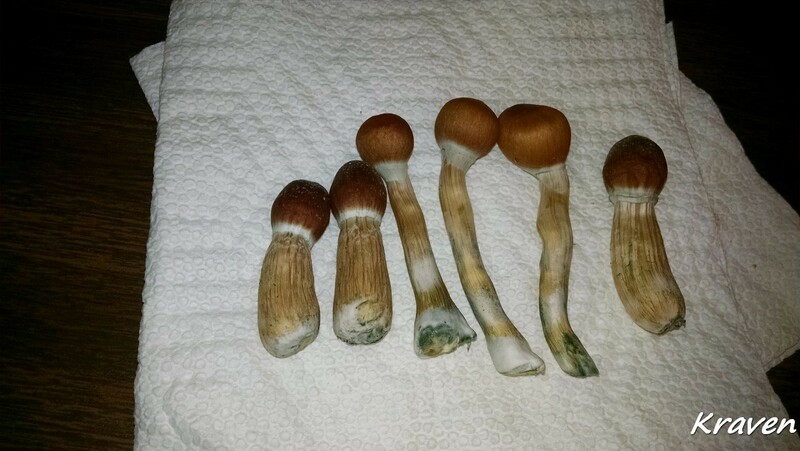 The PE have always been a bit stronger to me imho. 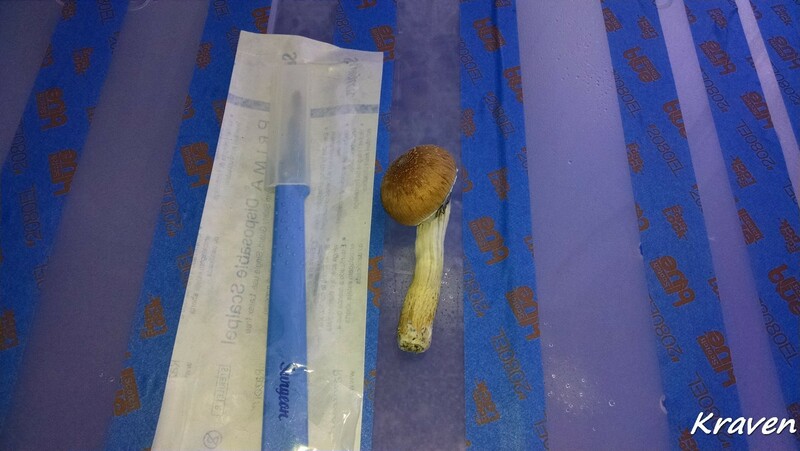 I treat them like Pans mostly. 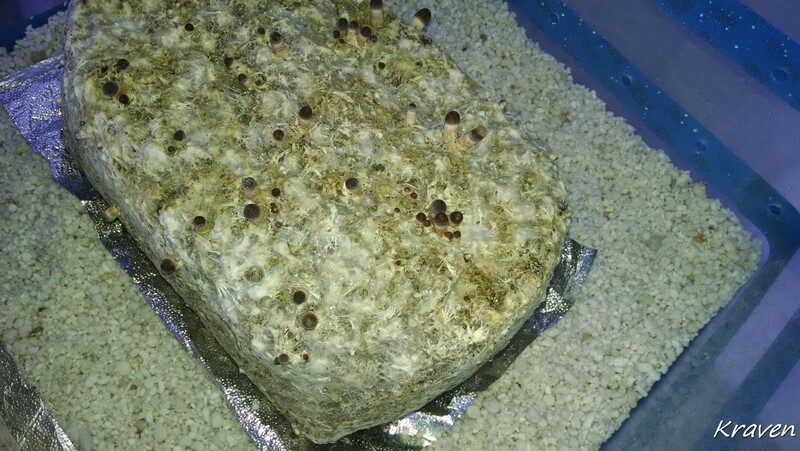 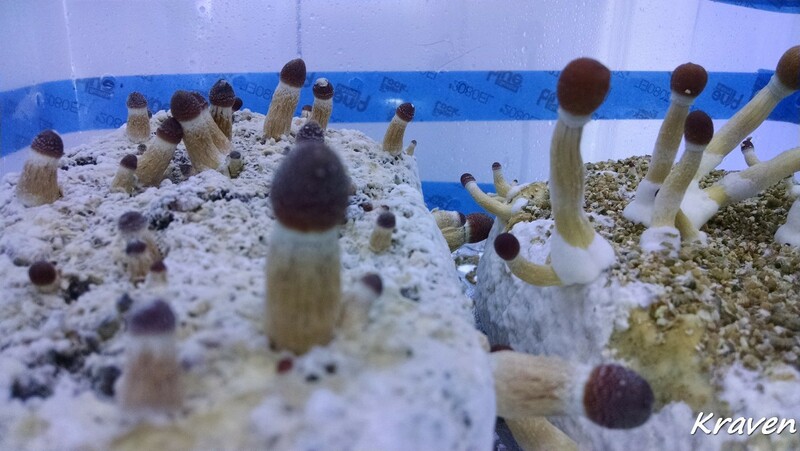 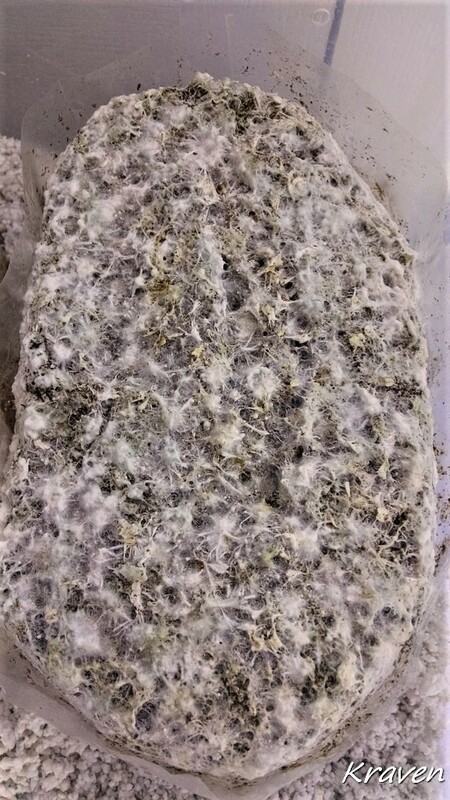 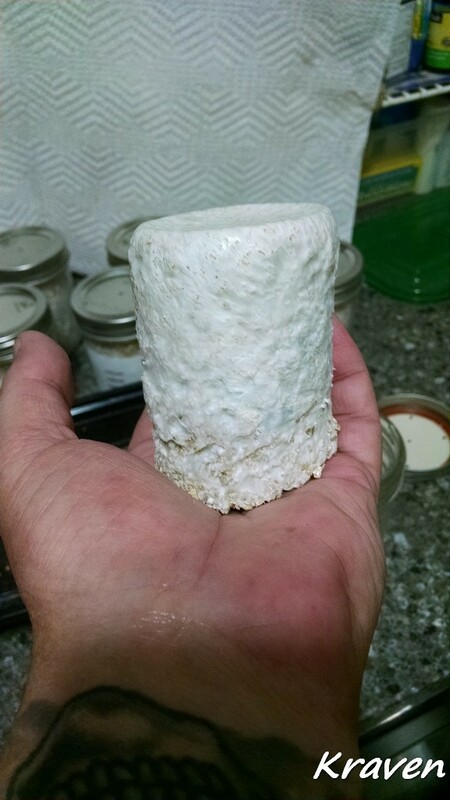 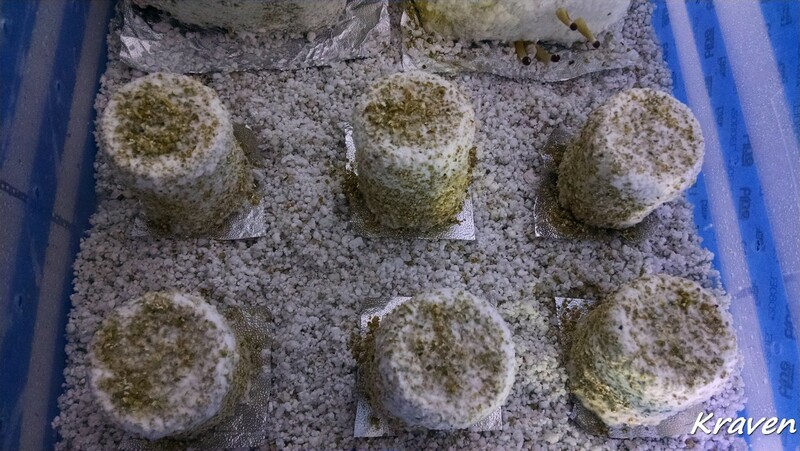 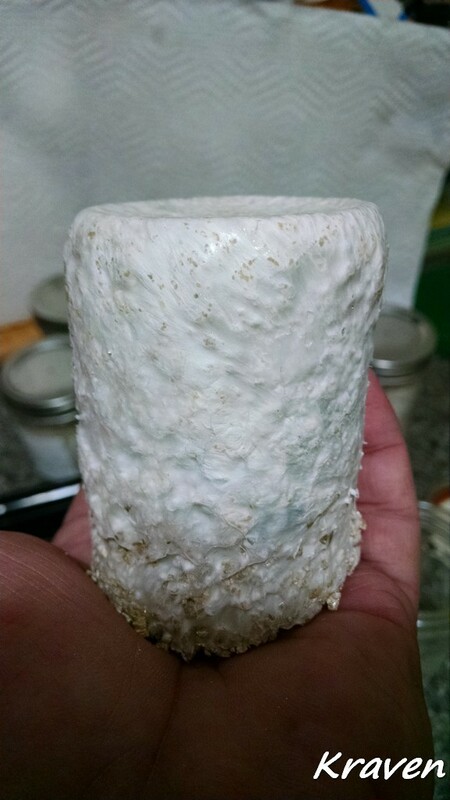 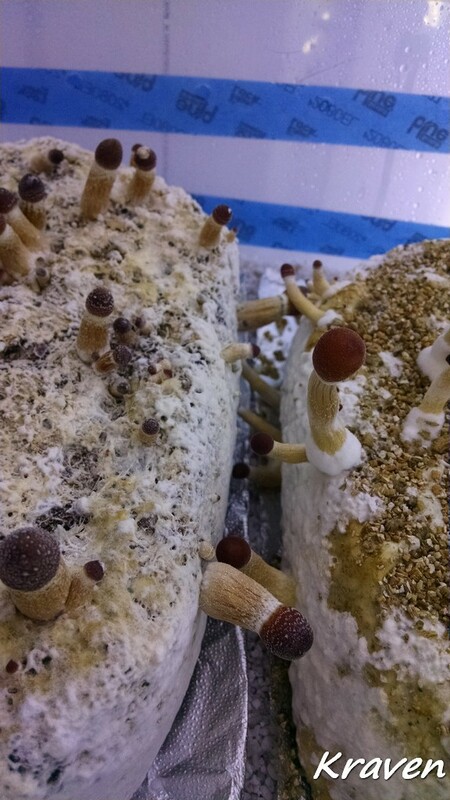 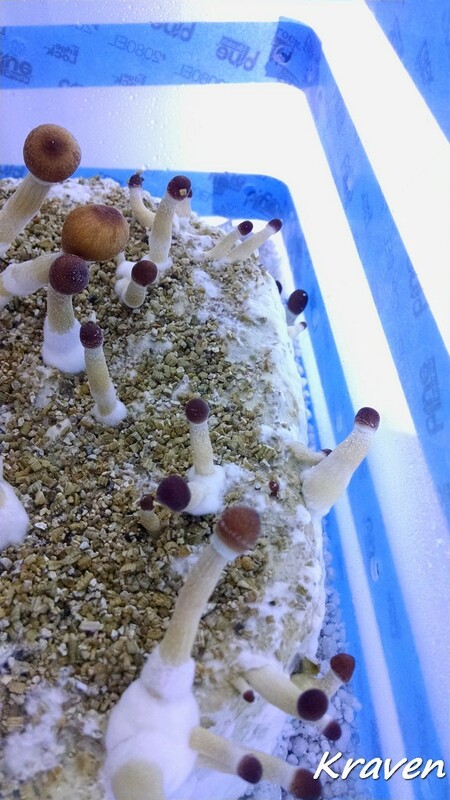 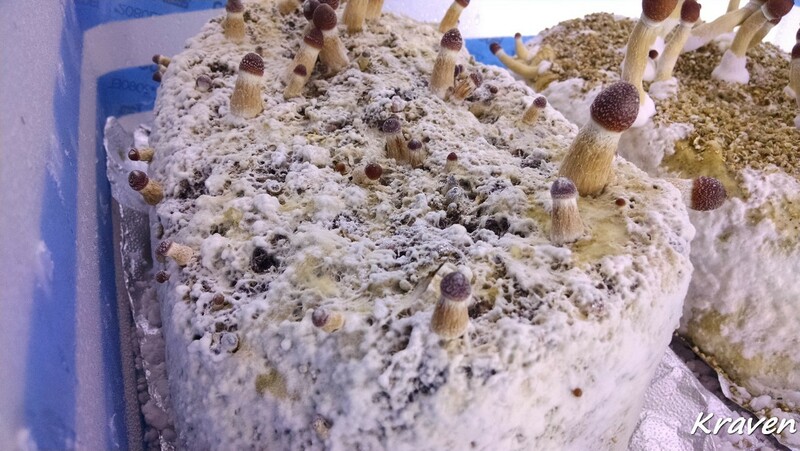 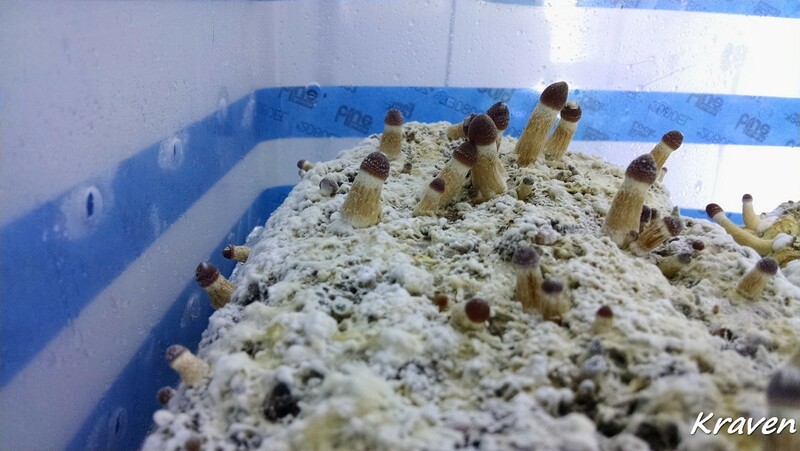 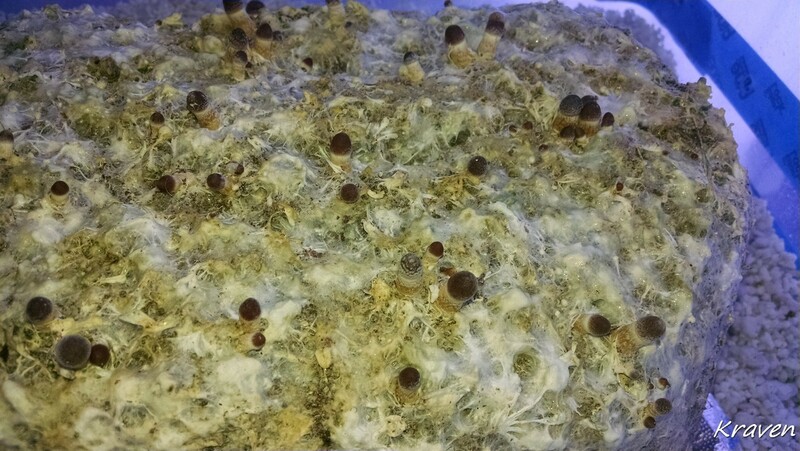 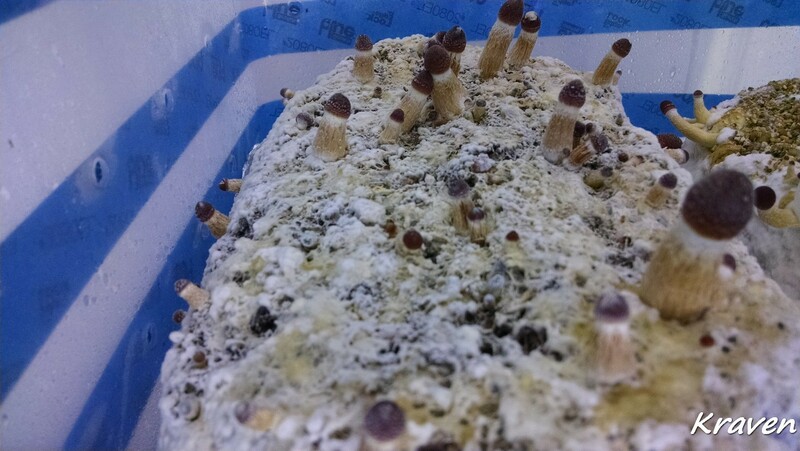 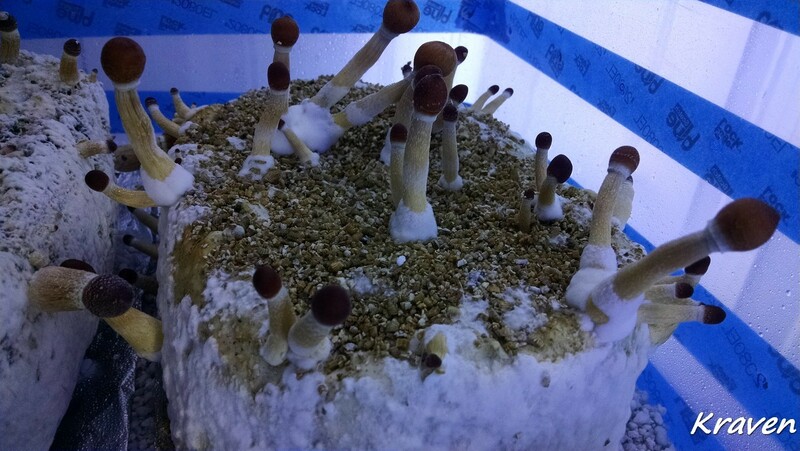 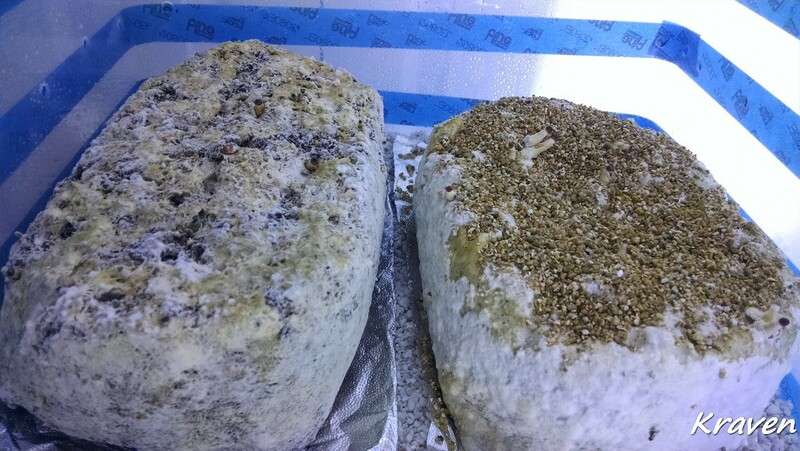 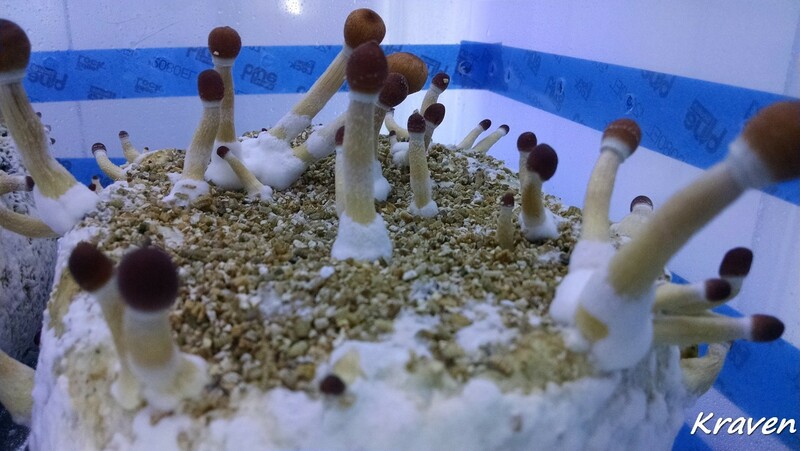 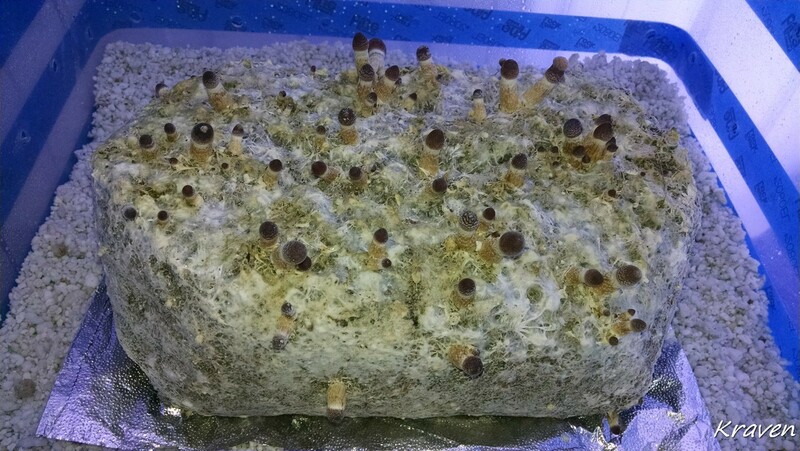 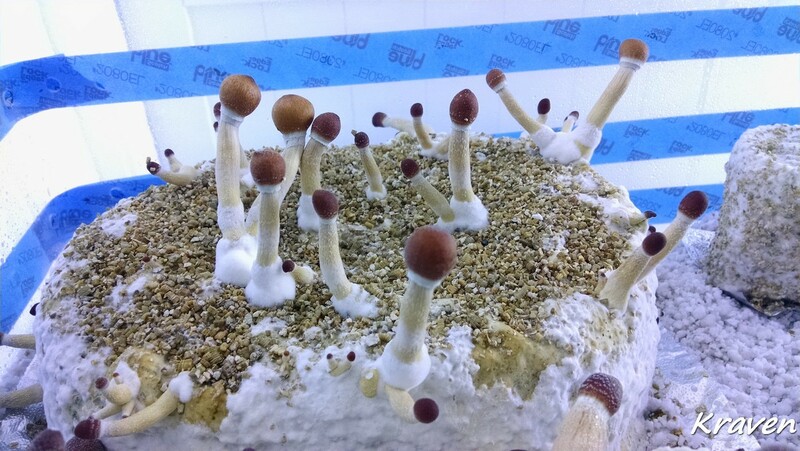 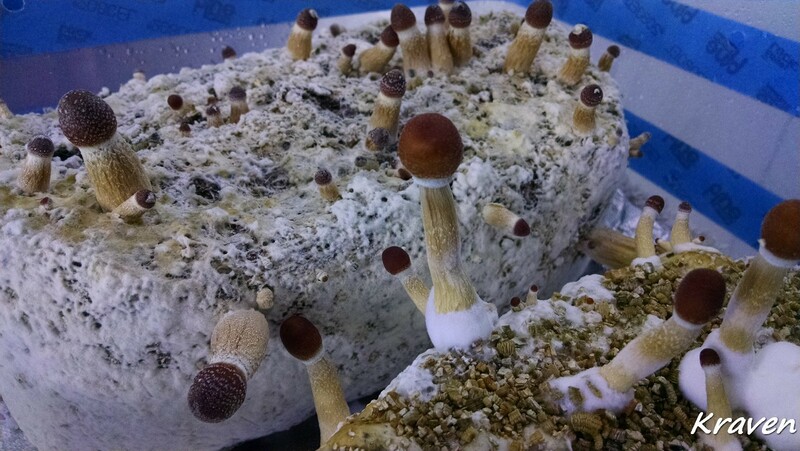 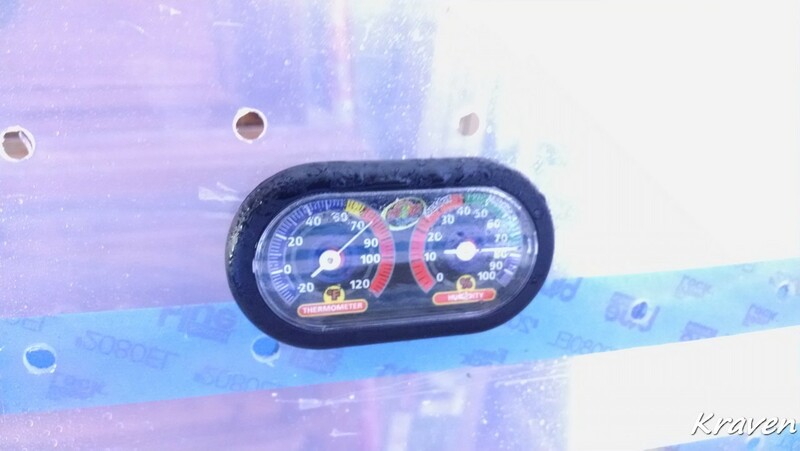 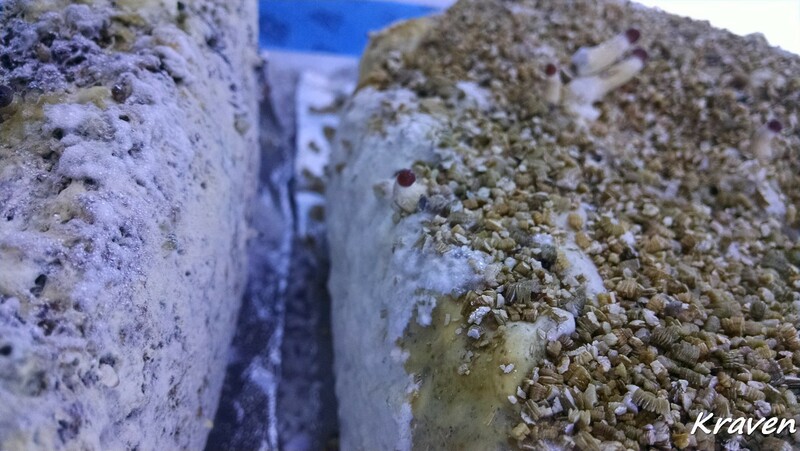 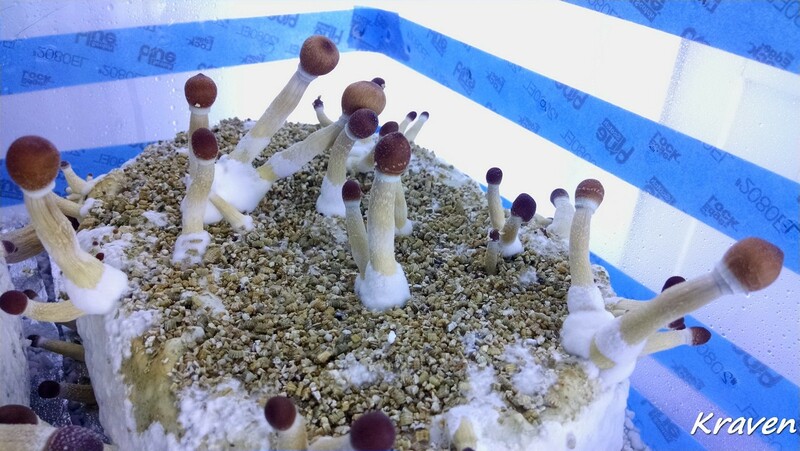 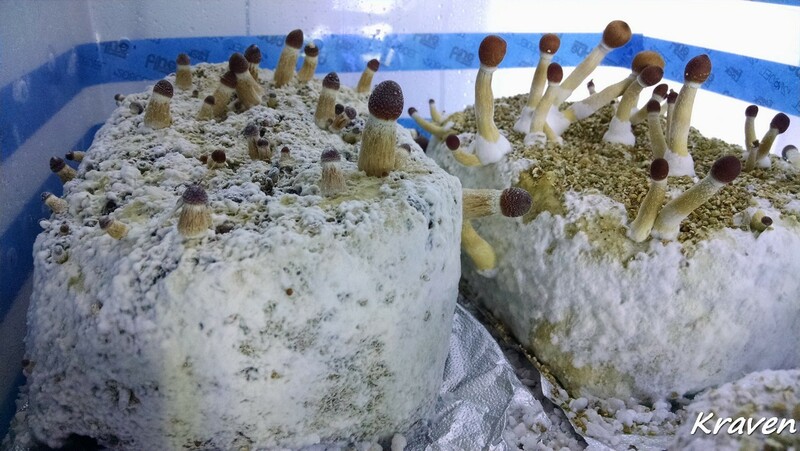 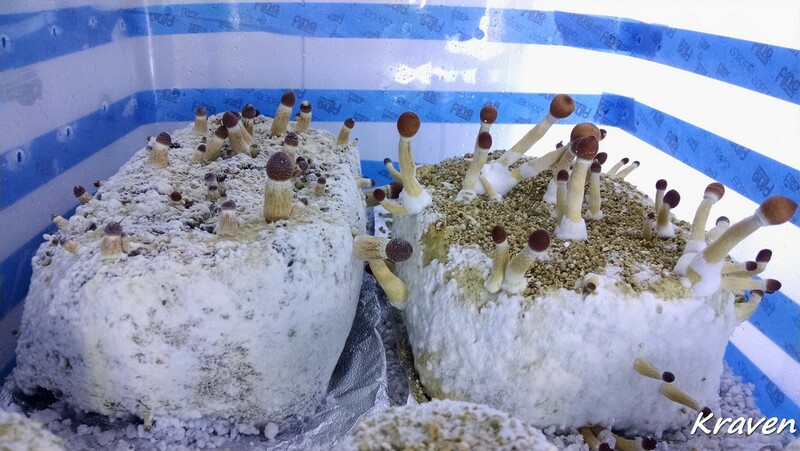 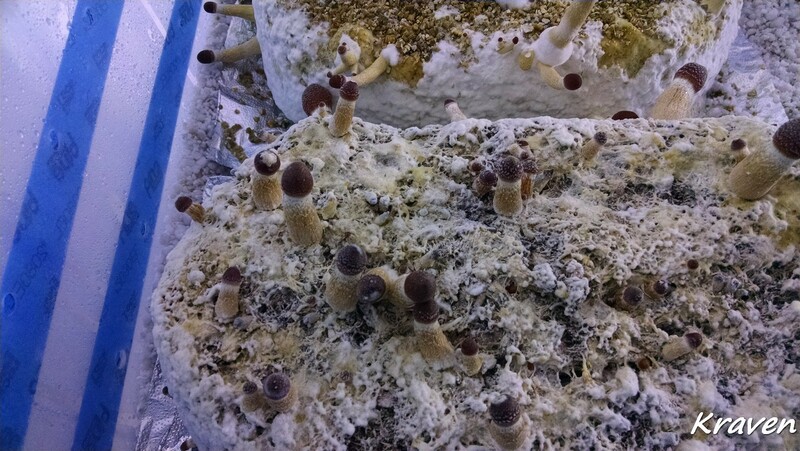 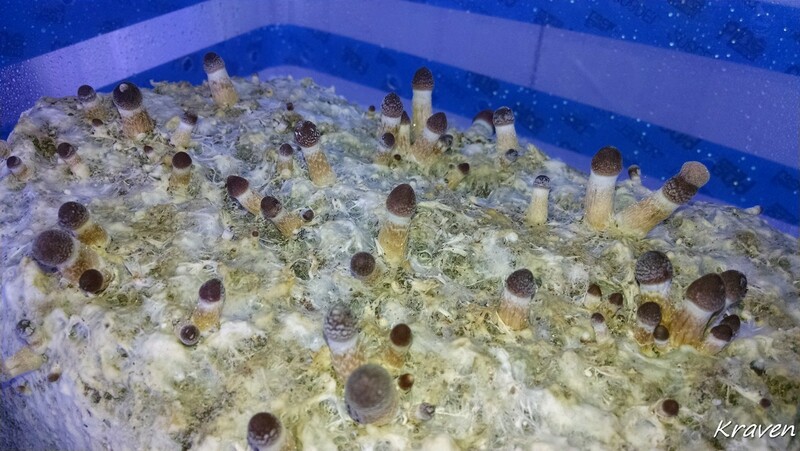 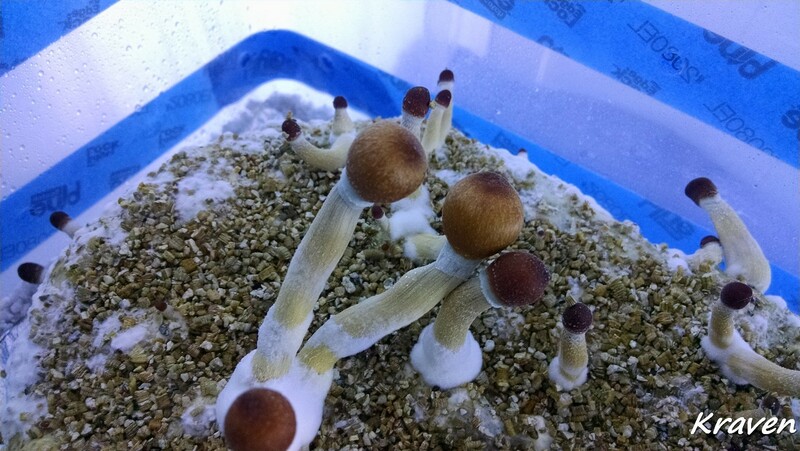 Got the cakes hydrated with a 12hr dunk and they are back to pinning again. 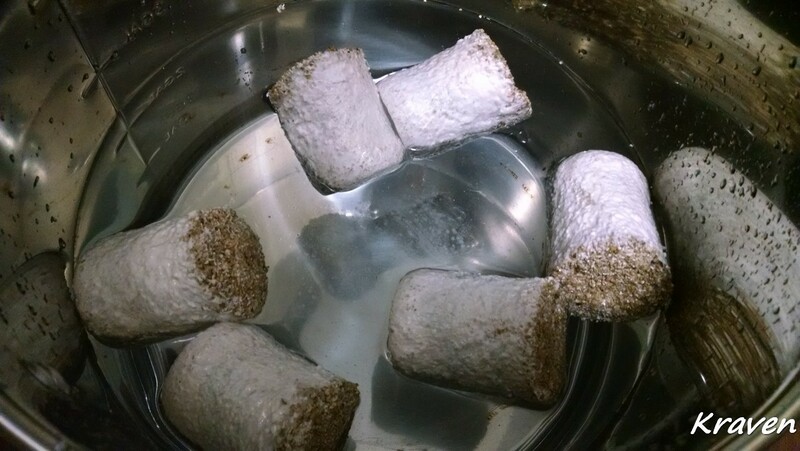 Also just birthed 6 cakes into a 24 hr dunk and tomorrow they will get rolled and tossed into the FC. 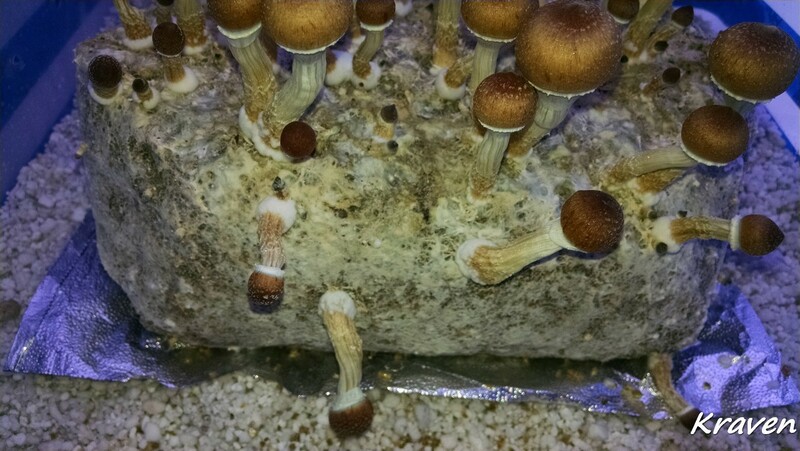 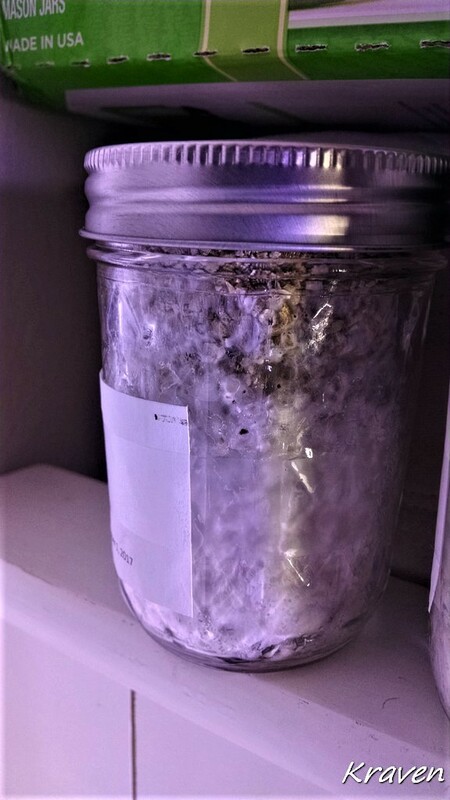 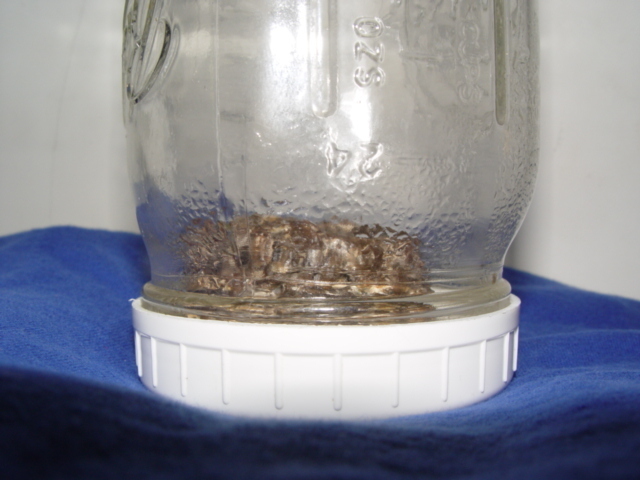 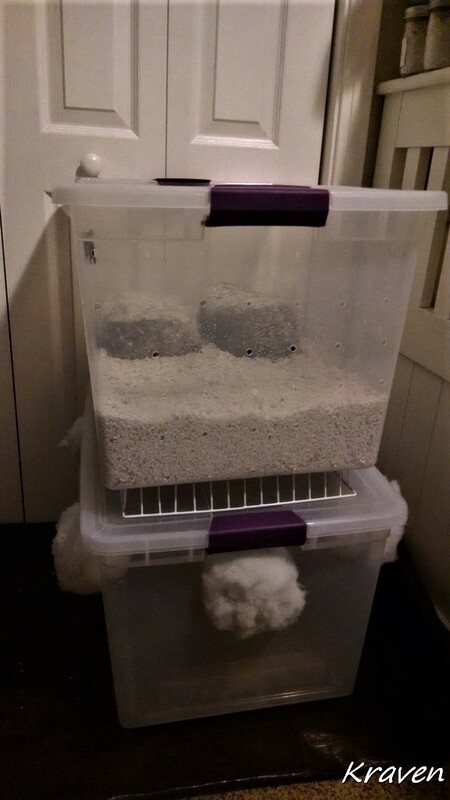 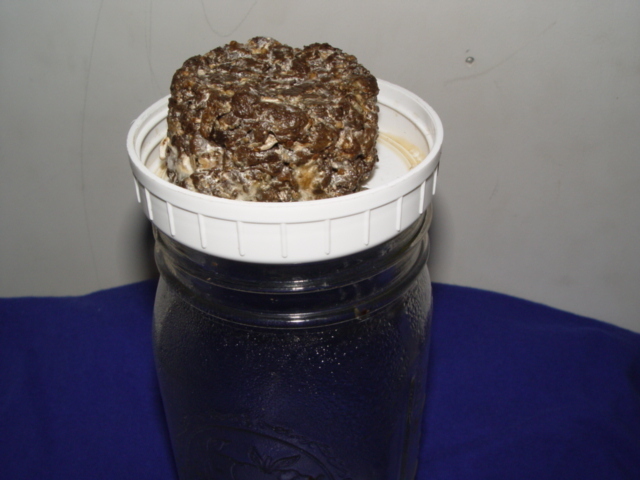 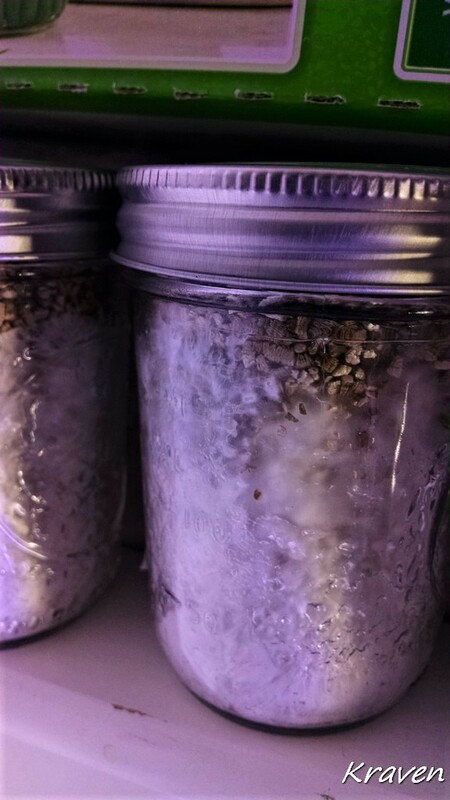 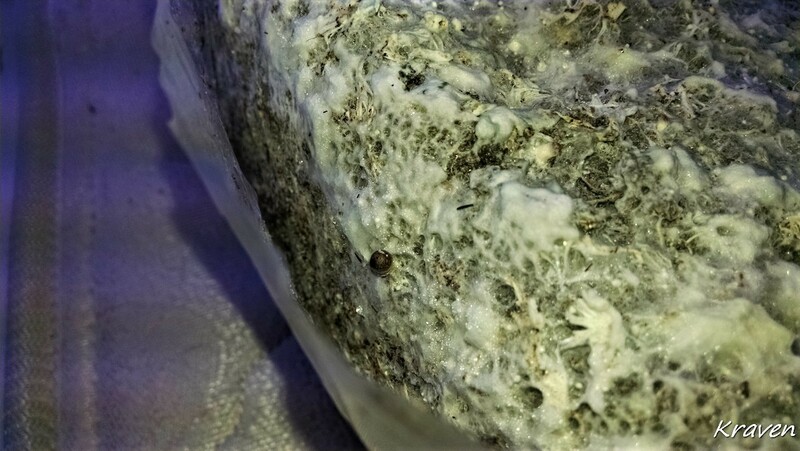 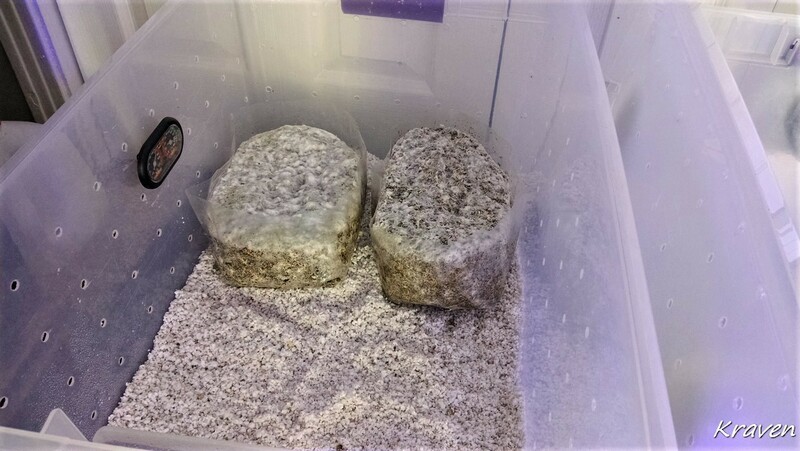 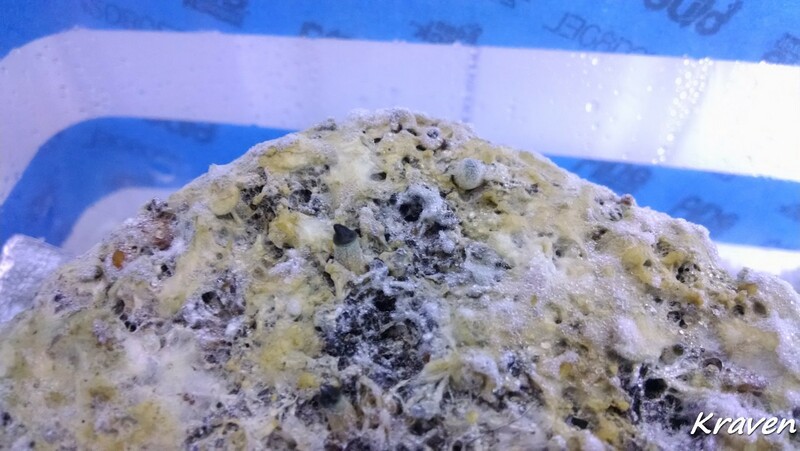 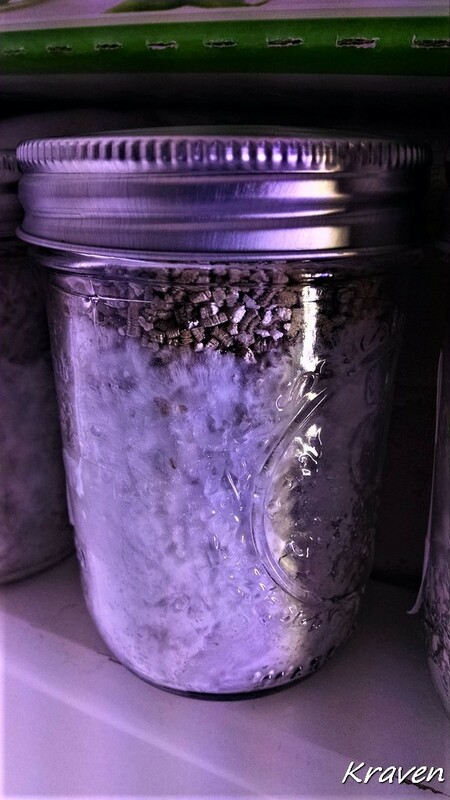 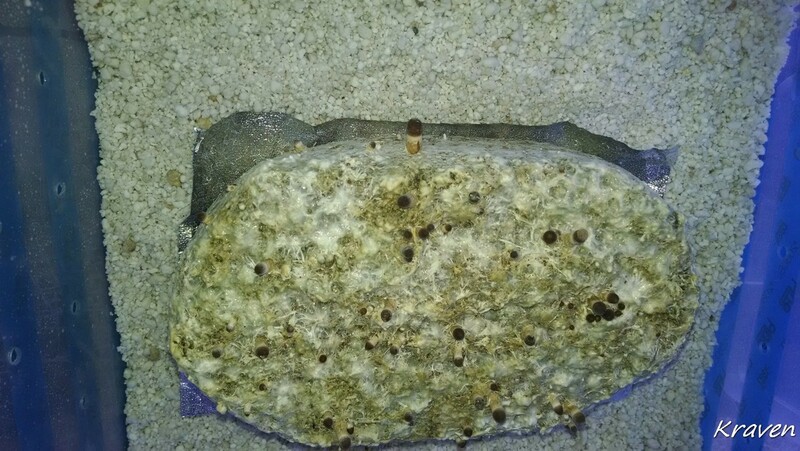 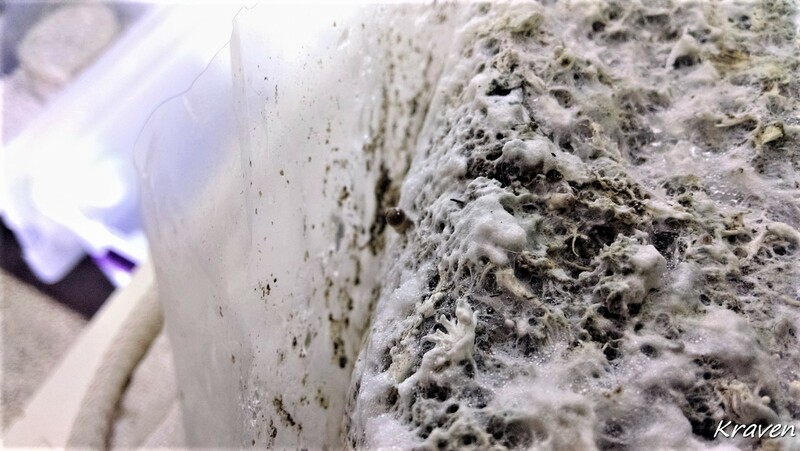 Just a quick update, the big cakes are doing well and the smaller BRF cakes look like they should be pinning soon, it helps to let them sit protected in the jar till i see them trying to pin...then its just dunk to fully hydrate, and they should kick off quick. 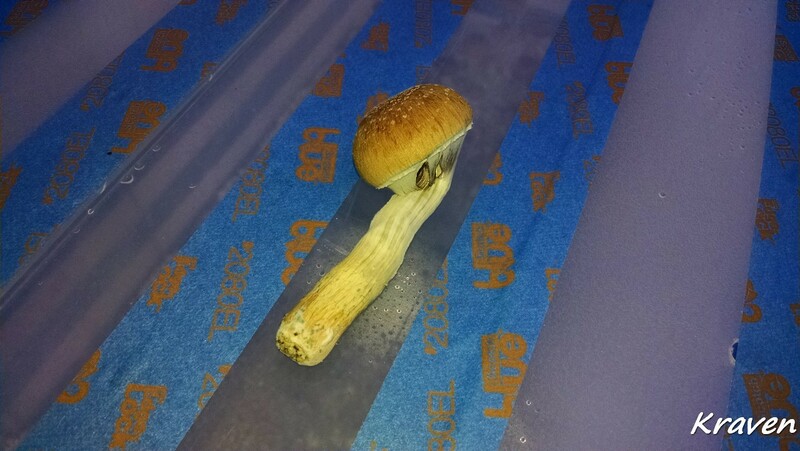 Peace. 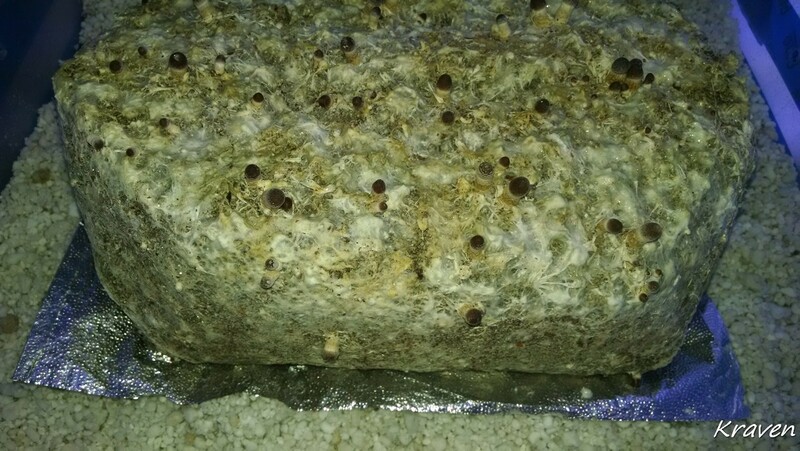 Well hows it feel?so far.